Dishwashers have become popular appliances in the kitchen but are you using yours correctly? 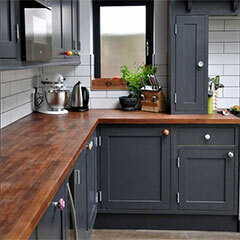 Kitchens have evolved and it's nice to see a bit of unusual design appearing in the otherwise square spaces of a kitchen. 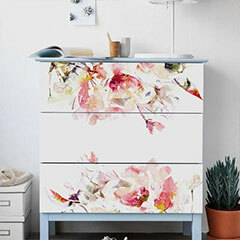 Being able to design and create your own range of furniture is something that every DIY enthusiast / woodworker dreams of. Wherever you live, winters can get pretty chilly. We look at simple ways to create a cosy bedroom. 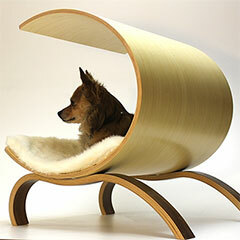 Design, Art and Textile Design ComPETition, benefitting pets less fortunate with R50 000 in prize money. 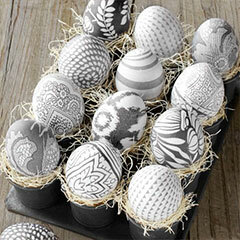 Sharpie pens are great for projects but are also a fun way to decorate Easter eggs with intricate designs and colours. 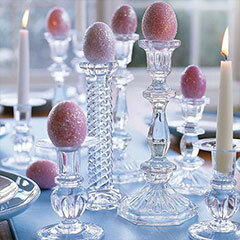 It is Easter holidays and we put together a selection of Easter crafts for the whole family. 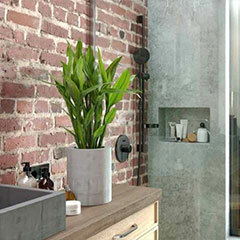 Add some love to your bathroom with a potted plant or two that love shade and thrive on humidity. 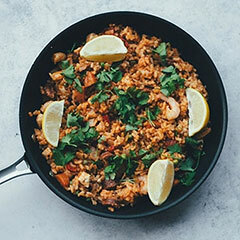 Chef Boldwin Barlow, from Park Inn by Radisson, shares his delectable twist on the classical Paella recipe. 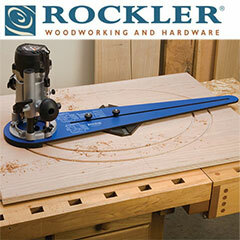 Tools4Wood are currently offering a special on all Rockler tools. 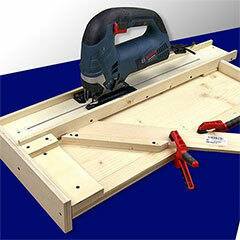 A wide range of innovative woodworking products. Every home cook uses knives. 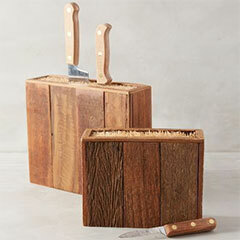 Instead of keeping them in a drawer, here are some DIY knife block ideas. There is something about butcher block and wooden countertops that add rustic charm to a kitchen. 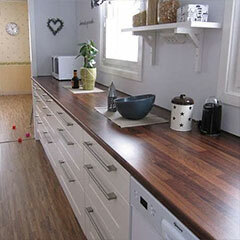 When making and installing wooden countertops, make sure you have the right information before you begin. 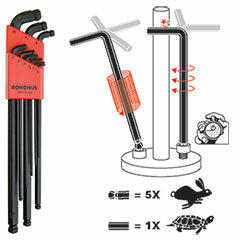 Bondhus - creators of the revolutionary pivot head wrenches and the ingenious New Stubby Double Ball L-Wrenches. 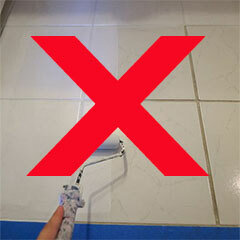 Despite the fact that we do feature a couple of projects for painting tiled floors, you should not paint tiled floors. 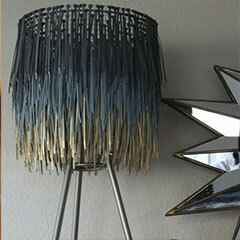 Boho style is popular and allows you to consider so many options for making your own DIY lamp and light shades. 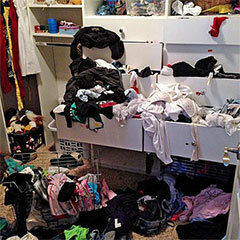 While most rooms tend to collect clutter, one room more than others can quickly become filled with clutter. 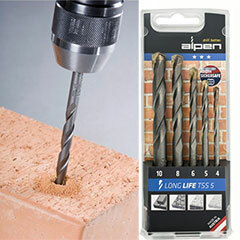 Alpen Long-Life hammer action drill bits are profile milled and offer a high-performance tungsten carbide drill bit set. 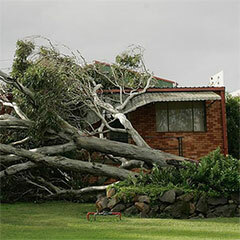 Many homeowners with gardens are looking for ways to turn them into sustainable gardens. 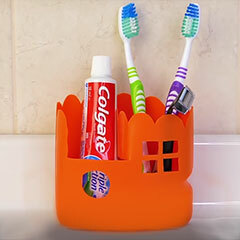 Give your bathroom a mini makeover with some paint and new hardware that will add a brand new look. 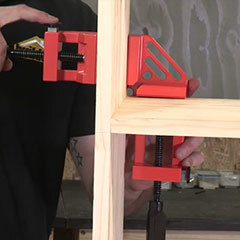 When working on your own to assemble DIY projects, the Grip adjustable corner clamp is an extra pair of hands. 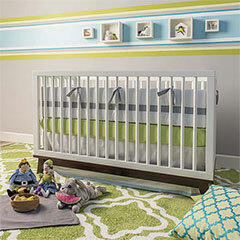 If you can't decide on a scheme for a nursery, these colourful stripes will add a lot of visual interest. Very few SA homes have what they call a 'mud room' but this shoes rack is perfect for an entrance or next to a back door. 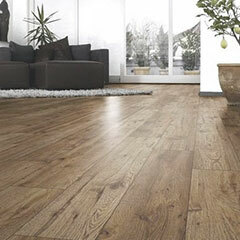 If you are thinking of installing laminate flooring you will find these helpful tips useful when tackling the installation. 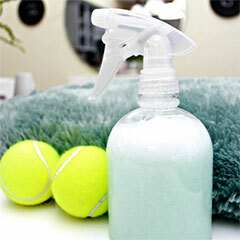 For freshly fluffed-up laundry, add a tennis ball or two to your tumble dryer and see the difference. 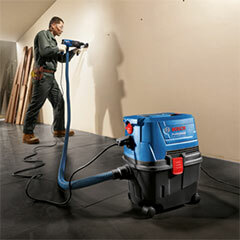 When you need to keep a workshop or job site clean, Bosch has the right solutions for you! 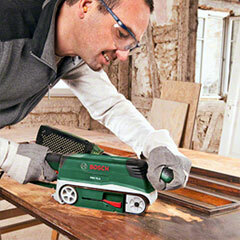 There is a sander for every project, but finding the right sander helps you get the job done faster and more effectively. Pony Jorgensen offer a full range of Pipe, Bar, C, Spring/hand, Band, Corner/frame and specialised clamps. The winter chill has definitely begun. 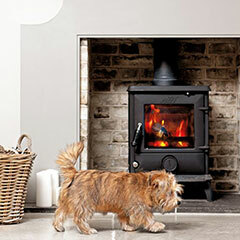 The AGA fireplaces are an ideal winter companion (and a firm favourite for pets). 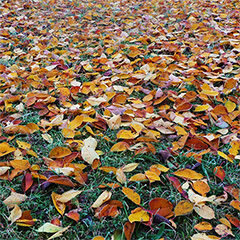 This weekend we had the first signs that winter isn't far away, so now is the time to prepare your garden for winter. 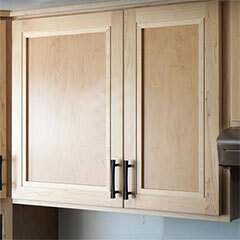 If you plan on making kitchen cabinet doors - here's a great tip to create easy, sturdy joints with a biscuit joiner. 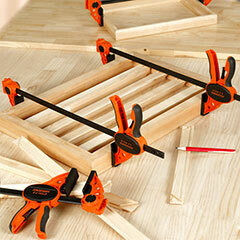 When using a jigsaw, one thing that many beginner DIY enthusiasts battle with is cutting a straight edge. 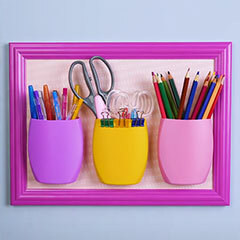 Make a kiddies book box that allows any young child access to their favourite bedtime books, or use for toy storage. 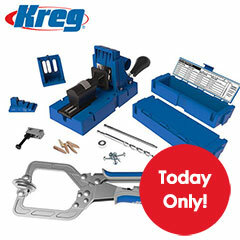 If you own a Dremel Multitool, you will already know how much fun it can be for crafts and hobbies. 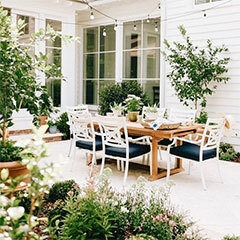 Summer might be over but if you need outdoor furniture, now is the time to shop around for comfort and durability. 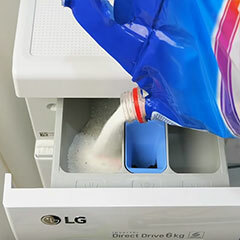 Recycle a plastic cold drink bottle into a no-mess pour nozzle and forget about cleaning up spills. 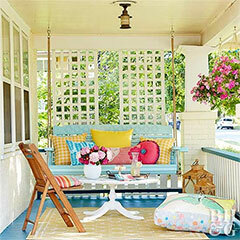 Plenty of homes have face brick walls that aren't necessarily a feature but you can turn them into a focal point. 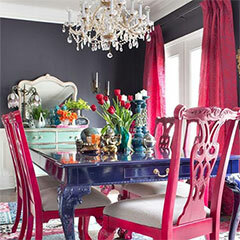 If your dining room is plain, it doesn't take too much effort to give a dining table or dining chairs a new look with paint. 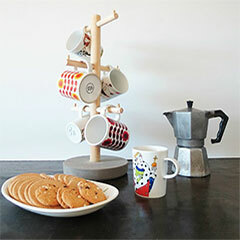 Made using inexpensive pine dowels, this DIY coffee mug stand is great for next to your kettle, or in a coffee station. 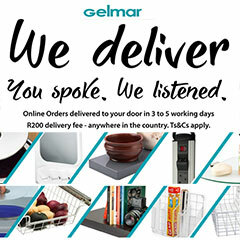 If you haven't recently visited the Gelmar website you are going to be surprised with a brand new look and more! 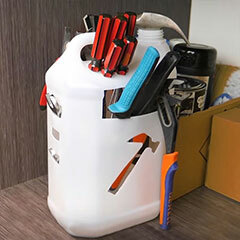 This handy tool storage stool is ideal for when you need to do projects in and around the home. 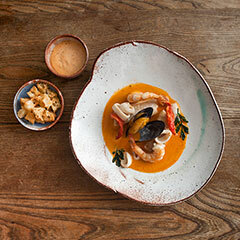 The delectable combination of fish and fragrant spices make it a most impressive starter. 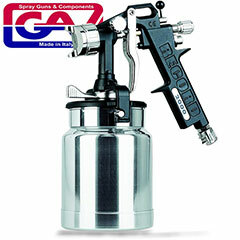 GAV Air Technology can meet any type of requirement and application in the compressed air sector. Need a new sofa? 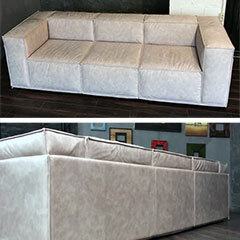 Make your own sofa to fit into your living space, in the fabric of your choice. 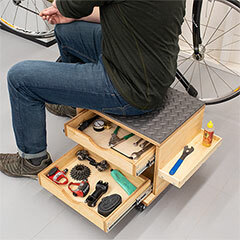 This mobile fold-up workbench is perfect for anyone who doesn't have a designated workshop for all their DIY projects. Everyone has clothes that slide off the coat hanger. 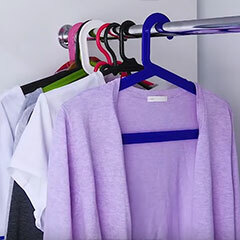 This quick tip will ensure that all your clothes stay on the hanger. 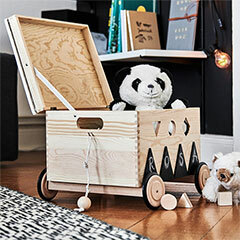 This mobile toy box makes playtime fun and tidying up even easier, and your child can also learn while they play. 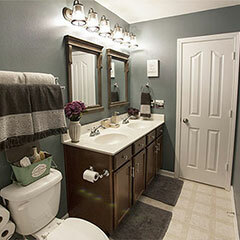 This before and after bathroom makeover shows how you CAN afford to give any bathroom an instant update. 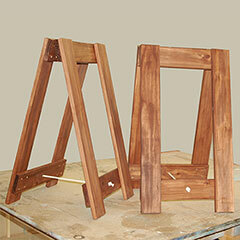 Trestles are easy to make we can make a pair for you in any size and stain according to your preference. 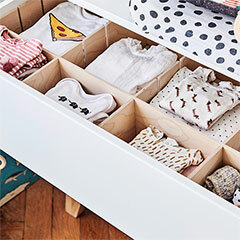 Here's a practical way to organise your drawers and keep them organised with an easy to make drawer divider. 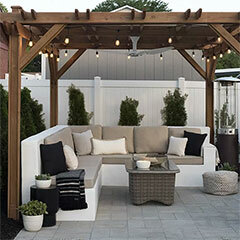 This custom outdoor sofa is definitely going on my 'To Do' list as a future project for my outdoor entertaining area. 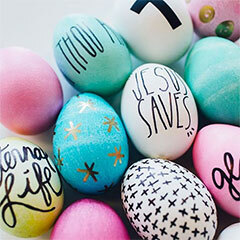 We've compiled a selection of easy, affordable Easter crafts that the whole family can get involved with. Easter can be a trying time for parents. 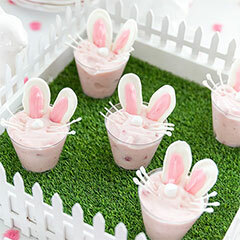 Try these healthy yoghurt snacks for an Easter treat. 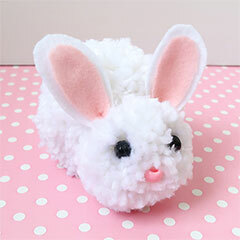 Here's a fun craft that the kids can do over the holidays - these pom pom bunnies are cute and easy to make. 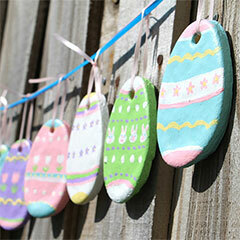 Start crafting for Easter with this adorable and affordable salt dough Easter garland made using salt and flour. 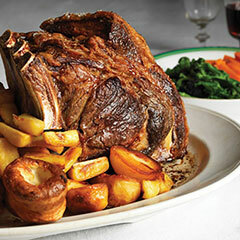 This Easter enjoy a superb roast, with potatoes and Yorkshire Pudding, courtesy of AGA. SEE PREVIOUS ARTICLES THAT YOU MISSED! Don't miss a single article or project! We update a list of recent features for you to view at a glance. 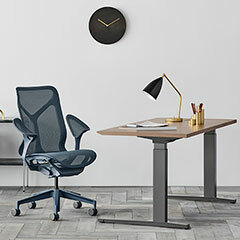 Click here to view recent features. 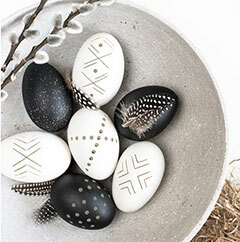 "Launched in 2005, Home-Dzine was created to realise a dream; to express my love of crafts, home DIY and decor, and share with other South Africans. As a non-commercial website I am free to express my own opinions and pass on valuable information to readers.I feel that more people can benefit by being able to DIY home improvement and home repairs - those that anyone with a bit of DIY savvy can do themselves." 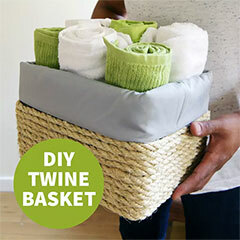 Home-Dzine in a South African website that offers DIY advice, DIY ideas and DIY projects for all DIY enthusiasts. 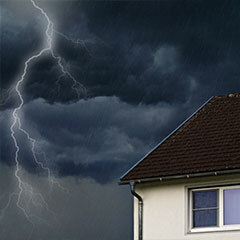 We offer South Arican homeowners advice on home improvements, home maintenance and home repairs. If you are looking for local home DIY ideas and inspiration, pop onto Home-Dzine for the latest tips and tricks, new product information and reviews. Copyright © 2005 - 2019 Home-Dzine.co.za. All information, images, or otherwise, are the property of Janice Anderssen, or relevant copyright holders and for the latter Home-Dzine Network claims no intellectual, or any other property rights. Articles also provided by various sources. See our	terms and conditions for use of this website.